One of the biggest issues I have when trying to eat healthy is to fight cravings. I know that hormones often have to do with my cravings, and I have even learned what healthier foods will satisfy my cravings, but sometimes it is tough. I really want this year to have my health journey make improvements that are visible in my lie. So, I gathered some tips from friends and my own experience to give you a list of ways to fight cravings. Learn what healthy options you enjoy. For me personally, it meant finding a few items to satisfy those cravings in a better way. You can check out healthy recipes and options until you find what works for you. I do recommend that whatever you do, don’t automatically reach for processed products that are labeled low-fat or low-sugar. Most often the item they are lacking is made up for with more of another unhealthy item to give you better flavor. Go for produce or other foods you can easily make on your own. I keep pineapple, oranges, mango, cantaloupe, honeydew or watermelon on hand all the time for my sweet cravings. There are always one or two of those in season at a reasonable price. I also learned that when any of those are on sale, I can stock up, clean slice and freeze in 1-2 cup portions. I use either snack size freezer bags, or small pyrex cups for this. I find double bagging them makes them last longer without freezer burn, but the glass cups are ideal for this storage. This makes it super handy to grab and eat frozen. The exception to that is with oranges since they aren’t so easy to freeze for later. Frozen yogurt or sherbet is another substitute when I really want ice cream but don’t want the calories. I have even learned to keep plain Greek yogurt in the refrigerator to add some fresh fruit and honey to for a creamy but satisfying snack. For salty treats I enjoy pretzels, but homemade microwave potato chips, baked tortilla chips and nuts are all excellent ways to eat a healthier option to satisfy a craving. Things like hummus or taziki dip are also great chioces when I want a snack because they are both super healthy and easy to enjoy with fresh vegetables. They are both high in healthier proteins and pack tons of flavor so you arent missing those rich and cheesy dips. I also like our homemade refried bean dip since it is low-fat and high-protein. Get more nutrient dense fruits and vegetables in your diet. When you are feeding your body healthier foods, it will be less likely to have cravings. 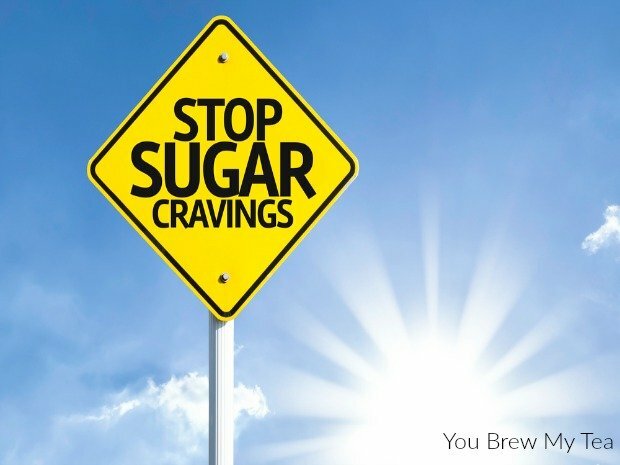 One major thing people find when they decide to cut out sugar on their health journey is that after a few day without it, it is much easier to fight cravings because you wont’ have any. If you continue to feed your body tons of nutrient-dense fruits and vegetables, you’ll find you are getting the vitamins you need and won’t be lacking and craving nearly as much. 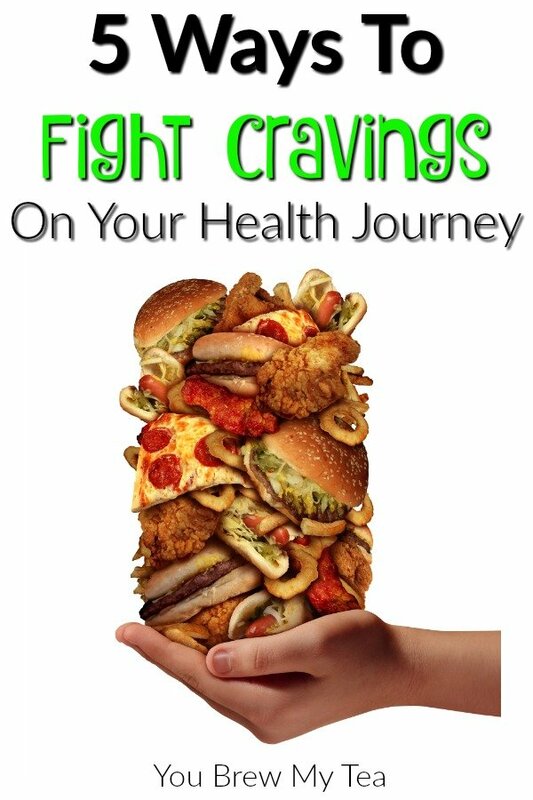 There are some things like hormones and exposure to favorite junk food to still fight against, but it can be overcome. Drink more water. Did you realizetha for some people, being even a little dehydrated can also make you crave more foods? When your body is lacking something, it will trigger the need for you to fill that gap. Next time you have a craving, drink another glass of water to see if that helps you fight cravings easily and naturally. Exercise when you are craving something. One of the biggest things on your health journey is to get more exercise. When you are craving junk food, you can change how you think and feel by exercising. For me, this is easier said than done. I kind of regularly admit to hating exercise. I wish I didn’t, but I do. I don’t like pain and I don’t like sweating. However, I realize that to fight cravings it could help. I also realize that if I am serious about my health journey, it means I need to seriously focus on taking care of my whole body which includes more exercise. Don’t go too long without eating. Perhaps for me, the most effective way to fight cravings is to eat regularly. When I am super hungry or skip a meal I am much more likely to think about all of the options out there that aren’t so great for me. Eating regular meals that include healthy foods will help you to crave less often. I believe one of the best ways to face this part of your health journey is to focus on eating more vegetables than anything else on your plate. I also include healthier carbohydrates like sweet potatoes and brown rice. Lean meats or proteins like beans and lentils are excellent to round out your meals. If you are snacking between meals, look for high fiber choices. An apple with some low-fat cheese is often just what I need to keep hunger at bay and satisfy a craving. Our bodies need food for fuel. We need fats and carbohydrates for energy and brain function. The difference is in choosing healthy fats and healthy carbohydrates that will help fight cravings. We all have bad days with food. I will never deny that. However, we can each make better choices along the way to fight cravings on our health journey. Pick up a high fiber piece of fruit like an apple, pear or pineapple to satisfy your sweet craving. Don’t skip out on great high-protein options like refried bean dip, hummus or low-fat string cheese for a simple snack. Create healthy menu plans that focus on larger portions of lean protein (meat and on-meat varieties) and tons of vegetables that are chock full of nutrients and fiber. Don’t miss out on our other great health tips below! I have been low-carb now for several years. I do fall off the wagon olcisaonalcy but have to force myself to get back on it. The secret is to fill yourself up with protein cos that fills up the tummy the longest; think hard-boiled eggs, greek yogurt, nuts, cheese, meat, tofu, legumes. When dining out, focus on meat and vegt. Quite difficult to do when having Chinese food or Italian or having curry!